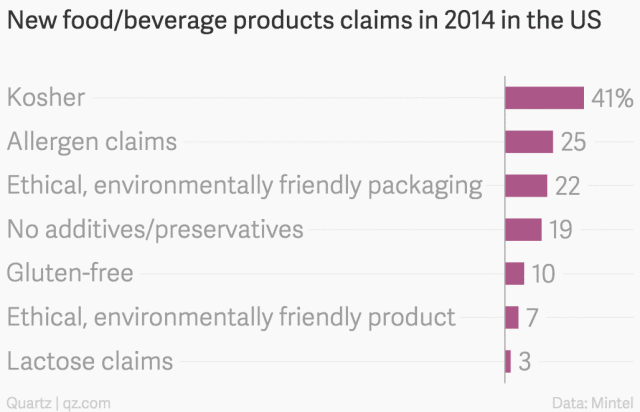 As a kosher supervisor (mashgiach) and the owner of a kosher certification agency, I am constantly impressed by the level of attention, respect and genuine care that non-Jewish business owners demonstrate for their kosher observant customers. I once again witnessed this first hand when I met the owner of Premier Pet Supply last week. Mike Palmer, who is half Chaldean and half Italian, owns the pet food and supply store with his uncle, the store’s founder. Located in Beverly Hills, a suburb of Detroit, the store has received a lot of positive attention of late because of Mike’s knack for publicity and his people skills (he obviously has great pet skills too!). The store is consistently named best pet supply store in the area and Mike was just named one of the Elite 40 Under 40 for Oakland County, Michigan. 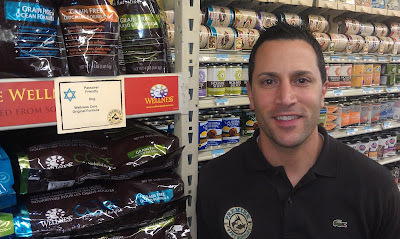 Mike called me a few weeks ago and asked if I would come by his store before Passover to answer some questions about kosher for Passover pet food. Since my family doesn’t own any pets and I haven’t certified kosher dog food in over a year (the dog treat company Kosher Michigan certified went out of business in 2010), I decided to brush up on the laws concerning pet food on Passover. And it’s a good thing I did because when I got to the store I was overwhelmed by the amount of knowledge Mike possessed concerning the kosher laws and Passover. He knew more about the intricacies of the holiday than many Jewish people I know. As we walked the aisles of his store I checked the pet food that he had labeled as being appropriate for Passover and there were no errors. 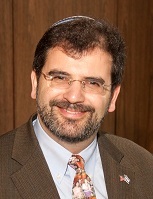 He explained that he had read an article by the Star-K kosher certification agency and felt he had a good understanding of what makes pet food kosher for Passover, but he wanted to run some questions by me. We had a long conversation about kitniyot(legumes, which most Ashkenazi Jews don’t eat on Passover) as well as the custom of feeding the family dog in the garage on Passover, which many families follow. Over and again, I heard Mike express how important he believes it is to provide quality service to his Jewish customers and ensure that they can purchase the best food for their pets on Passover while adhering to the holiday’s regulations. 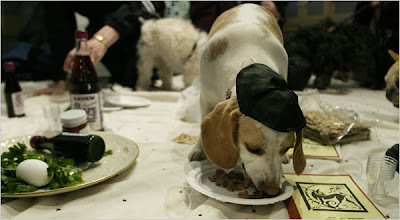 In terms of what Jewish law says about pet food on Passover, the most important thing to remember is that chametz (leavened products) from the five grains (barley, oats, rye, spelt, or wheat) is forbidden to eat or derive benefit from. Feeding chametz to one’s pet would be deriving benefit from it. 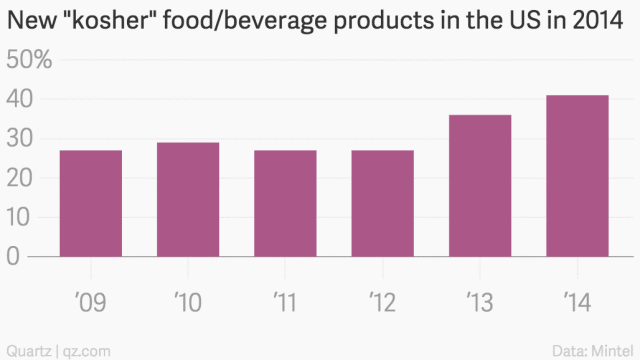 Additionally, a Jewish person is not allowed to even possess any chametz on Passover. As I explained to Mike, while kitniyot (legumes) are not eaten by most Ashkenazi Jews, they may be fed to pets on Passover. Also, one does not need to change over the dishes for pets, meaning that the usual food bowls for pets can be used on Passover but they should be cleaned out first. There is a custom of “selling” one’s pet to a non-Jew on Passover. 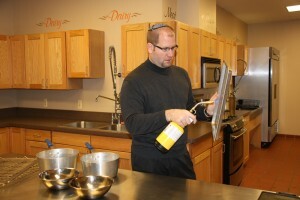 The reason for this has to do with deriving benefit from chametz. Thus, if one leaves a pet with a non-Jew during Passover the pet owner will still derive benefit from chametz when the non-Jewish friend feeds the pet. Therefore, some observant Jews will “sell” the pet to the non-Jewish friend on the condition it is sold back at the conclusion of the holiday in the same fashion as the “legal fiction” sale of chametz. 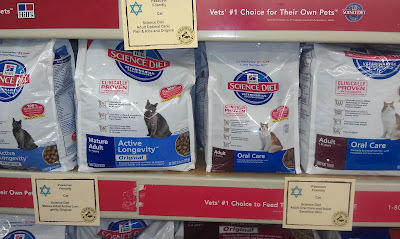 While many Jews are not familiar with the laws governing pet food on Passover, it is reassuring that there are pet supply store owners like Mike Palmer who are concerned about this. 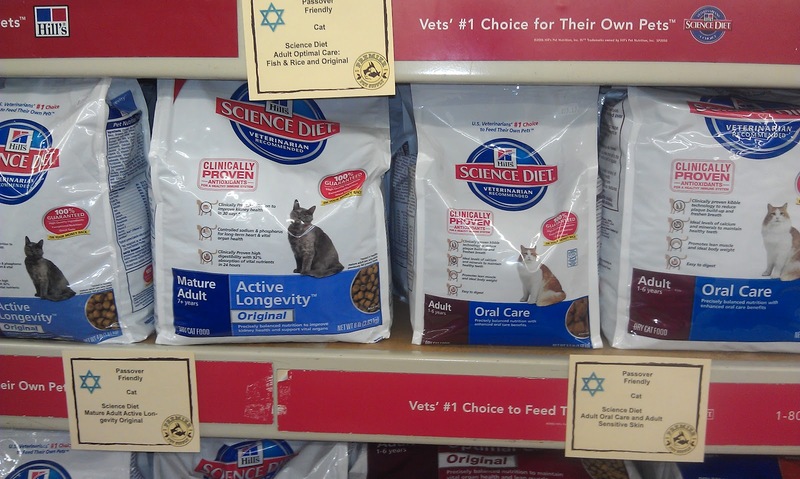 It is admirable that he has taken the time to research this subject and has gone out of his way to help his Jewish customers find the right pet food for Passover.